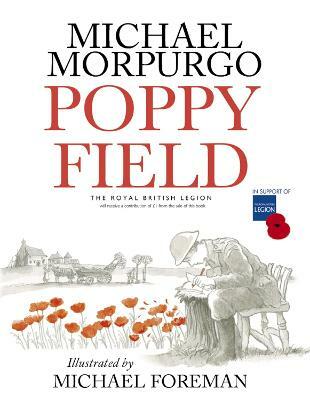 A note from Michael Morpurgo - "This book is dedicated to Private Henry Tandey VC. And this is why. Many of my stories have come from the lives of others, from truths, written or remembered, this one perhaps more than any other. 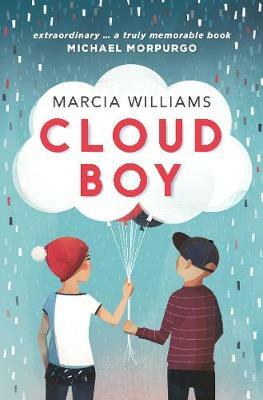 Certainly had I not discovered, through Michael Foreman, the extraordinary story of the life and death of Walter Tull, the first black officer to serve in the British Army, I should never have written A Medal for Leroy. Had I not met an old soldier from the First World War who had been to that war with horses, in the cavalry, I should not have written War Horse. Had I not come across, in a museum in Ypres, an official letter from the army to the mother of a soldier at the front in that same war, informing her that her son had been shot at dawn for cowardice, I should never have told my story of Private Peaceful. It was a medal commemorating the sinking of the Lusitania by torpedo in 1915 with terrible loss of life, over a thousand souls, that compelled me to think of writing the story of a survivor, which I did in Listen to the Moon. 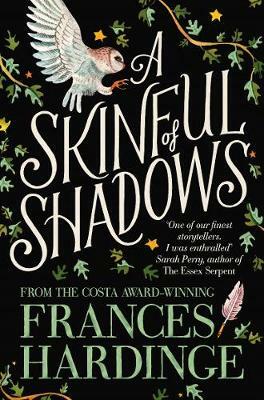 I write fiction, but f iction with roots in history, in the people who made our history, who fought and often died in our wars. They were real people who lived and had their being in another time, often living and suffering through great and terrible dangers, facing these with unimaginable courage. My challenge as a story maker has been to imagine that courage, to live out in my mind’s eye, so far as I can, how it must have been for them. So when I was told by Dominic Crossley-Holland, history producer at the BBC, about the extraordinary life and times of Eagle Henry Tandey, the most decorated Private soldier of the First World War, I wanted to explore why he did what he did. This I have done, not by writing his biography. That had been done a lready. 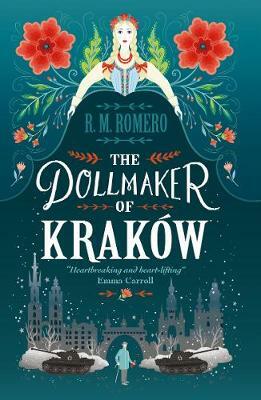 Rather I wanted to make his life the basis of a fictional story that takes his story beyond his story, and tries to explore the nature of courage, and the dilemma we might face when we discover that doing the right thing turns out to be the worst thing we have ever done. Because the life of Henry Tandey is so closely associated with this story, I thought it right to include the history so far as it is known, of his actual life. 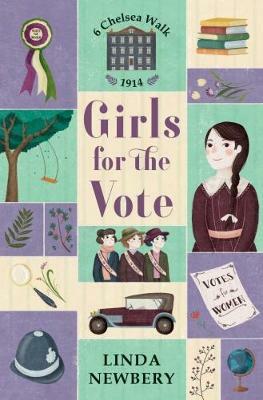 This you will find in the postscript at the end of the book." 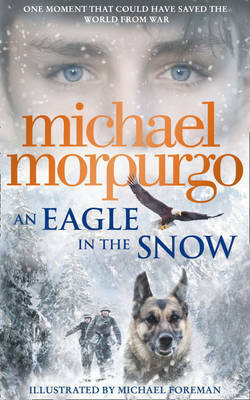 A Piece of Passion from the publisher Ann-Janine Murtagh: "An Eagle in the Snow is quintessentially Morpurgo in capturing a small moment in history and weaving it into a breathtaking, dramatic and moving story that will have readers gripped till the last page. 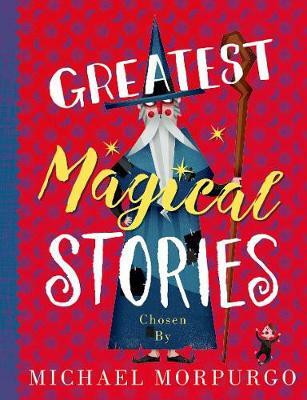 Following on from the bestselling success of Listen to the Moon it speaks of an author who is writing at the very peak of his powers. 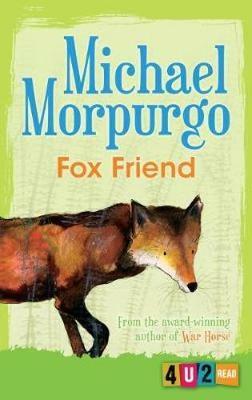 Michael Morpurgo remains our nation's favourite storyteller - and his stories now reach out to children across the globe. 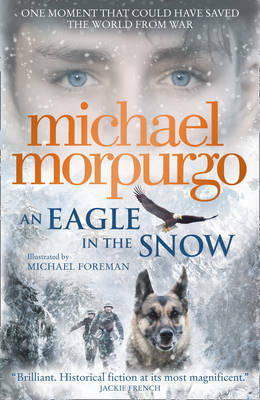 The powerful new novel from the master storyteller - inspired by the true story of one man who might have stopped World War II, it bears all the hallmarks of the next Morpurgo classic and is another stunning and resonant story of war and its impact on ordinary people.